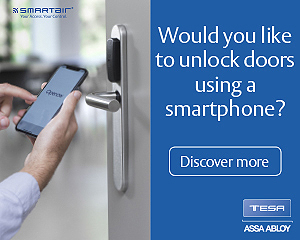 These days, it’s a standard requirement of security devices to perform smarter in the way they think as the importance of data capture and the opportunities provided by connected infrastructures and the IoT become more prevalent. 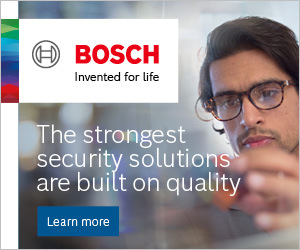 That’s why Bosch constantly pushes the boundaries of technology to develop intelligent solutions that exceed the highest security demands of today, and deliver clear business advantages beyond security. 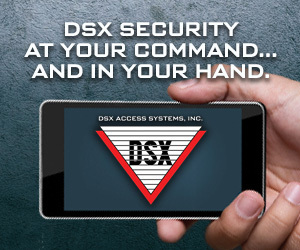 We believe the logical progression for security is to enable customers to interpret and repurpose, at source, the huge amounts of data captured by video. However, we also believe what’s equally important to how a device thinks is how well it sees. If accurate information can’t be delivered in the case of an emergency, or precise evidence be provided after a criminal act, even the best video and data technology is rendered redundant. Consequently, Bosch never loses sight of the importance of image quality, offering resolutions up to 4K ultra HD, starlight technology for low-light situations, and thermal solutions for early detection in poor lighting conditions. With the release of our latest firmware (6.50), Bosch continues to innovate video security and integrate advanced technology features, including the capability to offer even higher quality images. With enhanced contrast and sharpness, haziness is reduced and image detail increased, whilst the implementation of a greater wide dynamic range increases visibility in areas susceptible to both highlights and dark spots, such as the exterior of a retail premises. Captured images also benefit from further enhancements to facial detail visibility, designed to compensate for a strong backlight. Our latest development delivers less color desaturation too, even at low lux levels, to maintain colorful images in those less-than-perfect lighting situations. The benefit of this goes beyond visibility alone, because a key element in the effectiveness of video data analytics is color filtering. So, when the colors that are captured are more accurate, the information that is subsequently sourced is more accurate, and levels of trust in the system reach new highs. This firmware update provides a new level of enhancement to images captured by the FLEXIDOME IP 4000i and 5000i range (fixed dome) and the DINION IP 4000i, 5000i and 6000i range (bullet), which are predominantly used in retail environments. An example of this being put into practice is the way these cameras can now secure the entrance to premises by capturing detailed images that can differentiate between objects and people, even whilst compensating for fluctuations in backlight and front light. Quality of image can also prove invaluable in retail, particularly when combined with Essential Video Analytics, which all IP 4000i, IP 5000i and IP 6000i cameras now feature as standard. This enables valuable data to be retrieved for instances like enforcing health and safety regulations and maximizing sales. As previously highlighted, quality of image can also prove invaluable in retail when gathering business statistics, such as monitoring footfall, enforcing health and safety regulations and triggering automatic alerts to keep queue levels to a minimum and improve customer service. This shouldn’t be underestimated because, to a retailer, one of the most invaluable returns on investment is the return of customers. To ensure that captured video data meets the highest level of relevancy, the video analytics capabilities of these cameras rely on sufficient image quality. The IP 4000i, IP 5000i and IP 6000 cameras are available in a range of resolutions from 720p up to 5 megapixel with up to 60 frames per second. In challenging lighting conditions, the DINION IP starlight 6000i IR bullet cameras and the DINION IP and FLEXIDOME IP starlight 6000 fixed box and dome cameras offer Bosch’s starlight technology. This is combined with 1080p resolution and 60 frames per second to provide crisp and detailed color images in extreme low-light situations. For example, the FLEXIDOME IP starlight 6000 model enables the capture of highly detailed color images in scenes with minimum ambient light (down to 0.0075 lux), enabling users to make use of the camera’s full video analytics capabilities, like color filtering, to substantially improve security levels. When light levels drop to zero, the DINION IP starlight 6000i IR bullet camera offers a built-in infrared illuminator to allow users to detect objects (up to 60m) in complete darkness. With a High Dynamic Range of up to 134 dB the IP 5000i and IP 6000i cameras ensure perfect exposure of static and moving objects, even in challenging, unevenly-lit scenes. When situations get tougher, the FLEXIDOME cameras offer solid housings to withstand high-impact (IK10) and humid environments (IP66). Meanwhile, the firmware update is making a difference to AUTODOME 5000i cameras as well. These cameras are mainly used in city surveillance and medium-sized, highly frequented areas such as car parks and warehouses, areas which are susceptible to poor lighting. The capabilities of the cameras, coupled with the updated firmware, provides images of enhanced quality and improved usability. For indoor and outdoor applications with a larger surveillance area to cover, the AUTODOME IP 5000i is the right choice. With its 30x optical zoom, Wide Dynamic Range of 94 dB, 1080p resolution and 60 frames per second, identification of fast-moving objects can be done over a distance of up to 190m during daytime, even in challenging lighting conditions. In situations that require high quality image capture and object identification over large distances in complete darkness, the AUTODOME IP 5000i IR is the answer. Whilst delivering the same image performance as the AUTODOME IP 5000i during daytime, at night the IP 5000i IR model makes it possible to identify objects up to a distance of 150m thanks to the built-in intelligent IR beam, which ensures optimum illumination of objects regardless of the level of zoom. As well as featuring Video Analytics as standard, all AUTODOME IP 5000i cameras offer Intelligent Dynamic Noise Reduction and intelligent streaming, combined with H.265 video compression, and offer various software and hardware measures, such as a built-in Trusted Platform Module, to keep video data secure. Update your vision of video security with the latest firmware from Bosch.